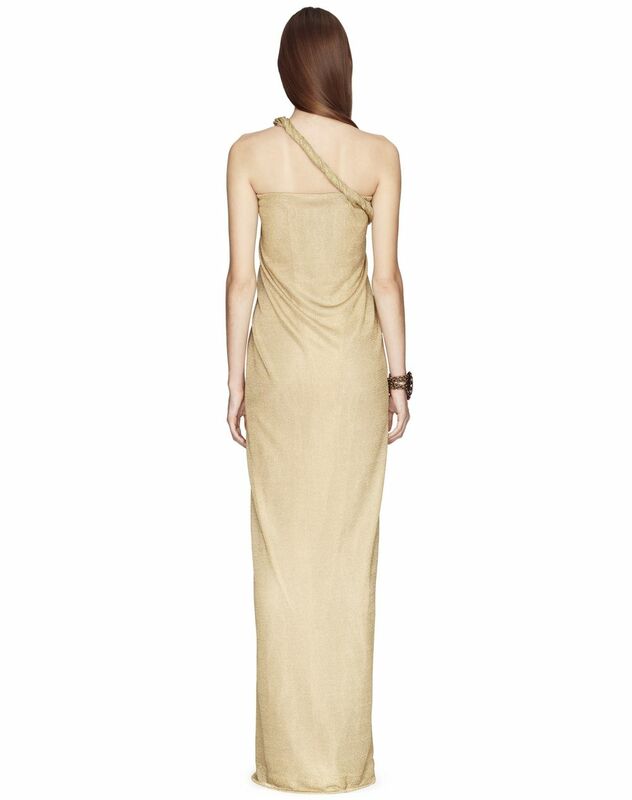 Long metallic gold lurex dress, asymmetrical neck, and asymmetrical length with slit detail at the front of the dress. 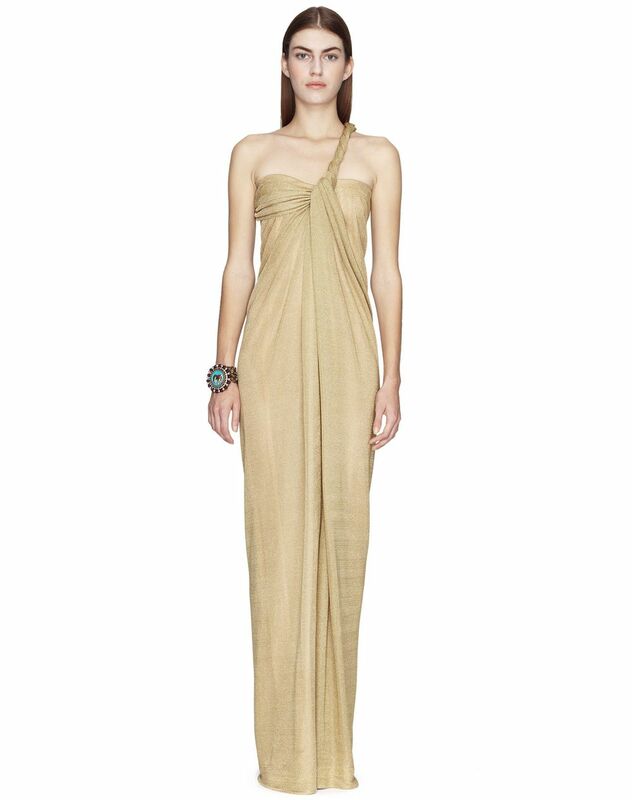 This long dress stands out for its femininity and unique cut. 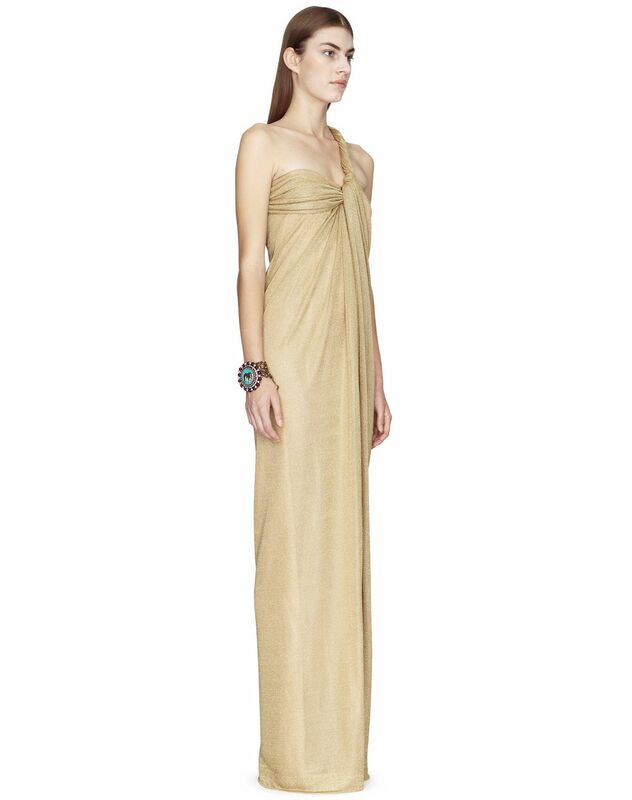 Its gold colour, paired with the brilliance of metallic lurex, adds radiance to the piece. With its stunning twisted collar, this slit dress beautifully reveals the shoulders and provides a distinctively glamorous look. Main material: 78% acetate weave, 22% polyester weave. Lining: 71% acetate weave, 29% silk weave. Model's measurements: Height: 178 cm Chest: 84 cm Waist: 59 cm Hips: 88 cm Model wears a size 4. Made in Italy.